Take a trip to the Caribbean with a delightful, refreshing Sauvignon Blanc infused with the unequivocal fruit of the tropics. A carefully blended potpourri of pineapples, bananas and kiwis for a delightful fruity blend that will make you think of a sunny beach in the Caribbean. “Lay back and relax”! 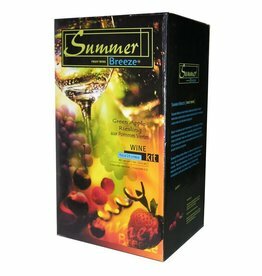 A delightful blend of Merlot and raspberries make a very rich and medium bodied wine, bursting with luscious raspberry flavor and smooth raspberry aromas. Made from a blend of Riesling and green apples. The subtle flavors of the tart green apples make a crisp, dry, smooth white wine that is perfect for any occasion.